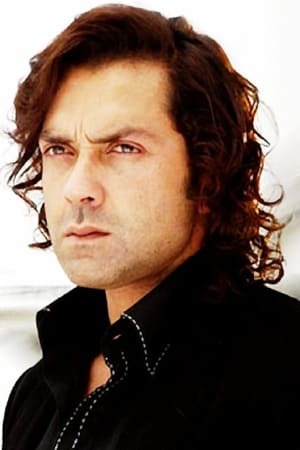 Bobby Deol (born Vijay Singh Deol on 27 January 1969) is an Indian film actor who works in Hindi films. In a career spanning more than two decades, he has appeared in over forty films and is the recipient of a Filmfare Award and a Filmfare Best Actor Award nomination. He is the son of Dharmendra and the brother of Sunny Deol, also a successful actor in the Indian Film Industry. He is particularly noted for acting in several thriller films, often playing antiheroic characters who are forced to commit crimes to avenge the deaths of loved ones and his films commonly involve themes of jealousy, deceit, revenge and romantic thrillers often involving him caught in love triangles.Deol briefly appeared as a child actor in the film Dharam Veer in 1977 and made his acting debut as an adult in Barsaat (1995) which garnered him the Filmfare Best Debut Award. Subsequently he featured in several commercially successful films including the 1997 suspense thriller Gupt, the 1998 action thriller Soldier, the 2000 action thrillers Badal and Bichhoo, the 2001 suspense Ajnabee, the 2002 romantic thriller Humraaz for which he was nominated for the Filmfare Best Actor Award , the 2007 sports drama Apne, the 2011 comedy Yamla Pagla Deewana and the 2018 action thriller Race 3. His other notable and critically recognized work include Kareeb (1998), Dillagi (1999), Bardaasht (2004), Jurm (2005), Jhoom Barabar Jhoom (2007), Naqaab (2007), Heroes (2008) and Dostana (2008).